Lol.. hilarious! He's left behind but not alone! Home and unloaded. That drive is a beast. Thanks, Michael, for taking the wheel on the way home. We've let too much time pass between big road trips together. When is the next one? Thanks again to all of Team FART. This one will not soon be forgotten. Long story. He had it coming. Probably something he said to "The Worst Moderator Ever." What an outstanding trip, but I would not expect anything else from this crew. It has been two years since I put my boots on the ground out there and I am already thinking about next year. Well done! I can't wait for all the pics. Road trip done right there fellas! I can’t thank the Stovall Brothers enough for their generosity, these guys define hospitality. Thanks for letting me hitch a ride Dale, I apologize for disrupting your alone time with crooked finger. Can’t wait to do it again fellas! For the last time Devin, get outta my bed! Epic trip guys. Thanks for everyone’s efforts to make it so enjoyable. I thought the weather was bad yesterday but I’m glad we got out of there when we did. Congrats all around for a great FART! Love watching this unfold every year. I had a great time, gents! Thanks to the Stovall Bros for the invite and opening up the family property each year for this trip. 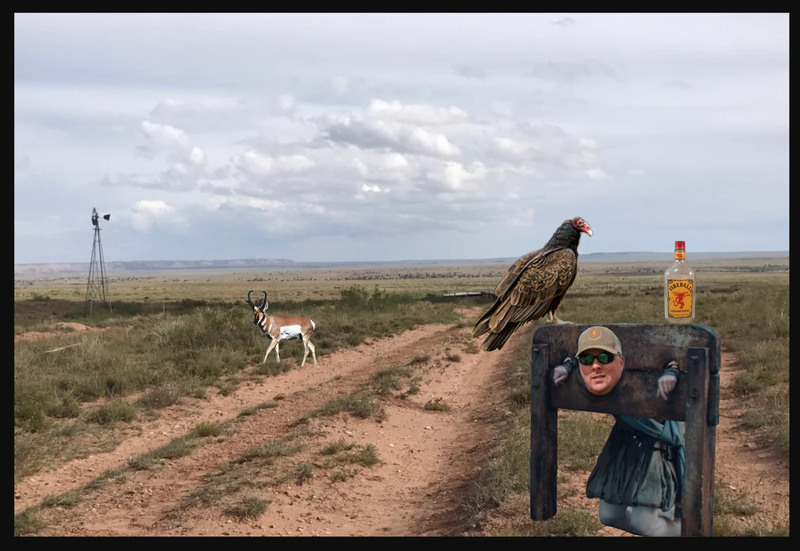 I'm honored to have been one of the shooters this year and I'm proud to have joined the ranks of hunters that have successfully taken a trophy 'lope from those grounds. Of course, this annual trip is always defined more by the fellowship than the harvest, and this fine cast of characters didn't disappoint! We missed a few of the mainstays that weren't able to make it, but that gives even more reason to look forward to the next one! Nice coverage guys! Congrats to the killers! Enjoyed following along! Congratulations to all involved to make this trip happen. Thank you for sharing with us. More pixels when time permits please. Thank you, as always to Ben, Zac, and the rest of the family for the invite. The ranch never ceases to amaze. This was as much fun as any FART I've been on. It was a blast to get to witness Michael's stalk point blank, I won't soon forget that. Over the top celebrations have become the norm, but they're still awesome! What a fantastic time with great friends, can't wait until the next time, men. Congrats again to all the shooters (some of whom are no doubt lurking), easily the largest average lope size ever. You new guys fell right into the groove and were a pleasure to hunt, and party with. Thanks also to to Randall and Devin for the quality company, and fuel contributions to and fro. Look forward to more pics trickling in...even if they are from the JV. Couple more phone shots of the biggest buck of the weekend. This one had more character than any I’ve seen before...just a really cool buck. I wish I had taken more of the other characters of the trip, but I tend to rely on the pros out there. Epic trip, thanks for taking us along for the ride!!!!! Call him the Barnacle Buck, heck of a goat! Man, that is one super cool antelope. What an impressive buck! I've never seen one with so much character! Congrats again, Michael! 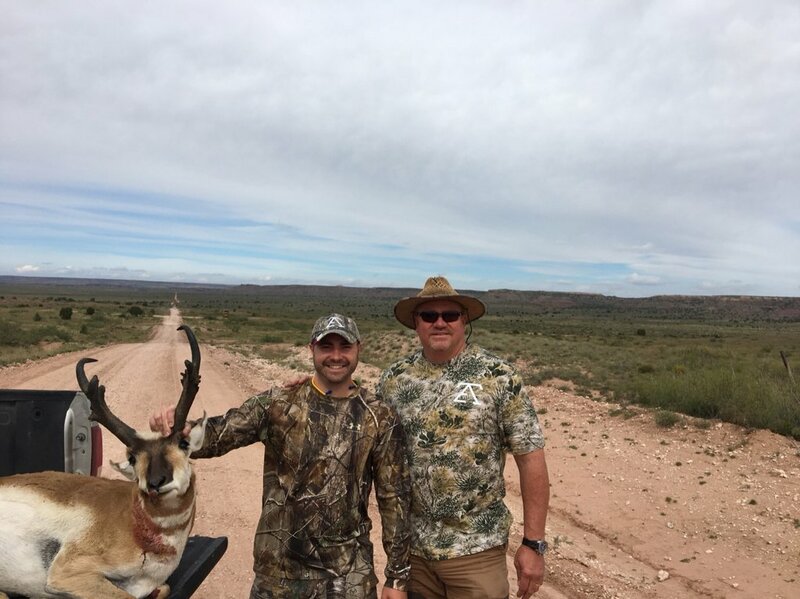 I would really like to thank everyone for making this such a memorable first antelope hunt for me. Not only did I have the privilege of taking an amazing goat, I got to meet some awesome people. I can’t imagine hunting with a better group of guys. For my first FART, they really made me feel welcome. Between spotting, ranging, stalking, scouting, picture taking, and keeping my spirits up when things got tough, it really was a complete team effort. Ben and Zach, thank y’all for everything, and including me on such an epic trip. I look forward to repaying the favor. Sorry for such a long first post, but I appreciate the whole TBH community for following along on the hunt, and look forward to becoming a part of this group. Congrats on a great lope! Welcome to the campfire! Welcome to the fire, Brian. Congrats again on a great antelope. Welcome, hate I had to miss it. Seems like yall picked up the ball and ran with it. My thoughts exactly, y'all got him good! Welcome to the fire, Brian! Congrats again on the goat! You ladies know how to do a hunt! Michael will there be a TBH video of this hunt like your elk adventure? I sure hope so. Would be awesome to catch just a live glimpse of what takes place on this legendary hunt each year. I captured some footage, but I decided early that on this one I didn't want to spend too much time behind the camera at the expense of being fully engaged in the fellowship. I'll see what footage I have and try to piece together a short narrative summary. Meanwhile, I'll be dropping a few new videos from the elk hunt this week. Thanks for the time & effort amigo...look forward to seeing what you came out with. This hunt really has become special & would also like to personally thank Ben / Zach & family for opportunity to follow for so many years. It's a joy to tag along.